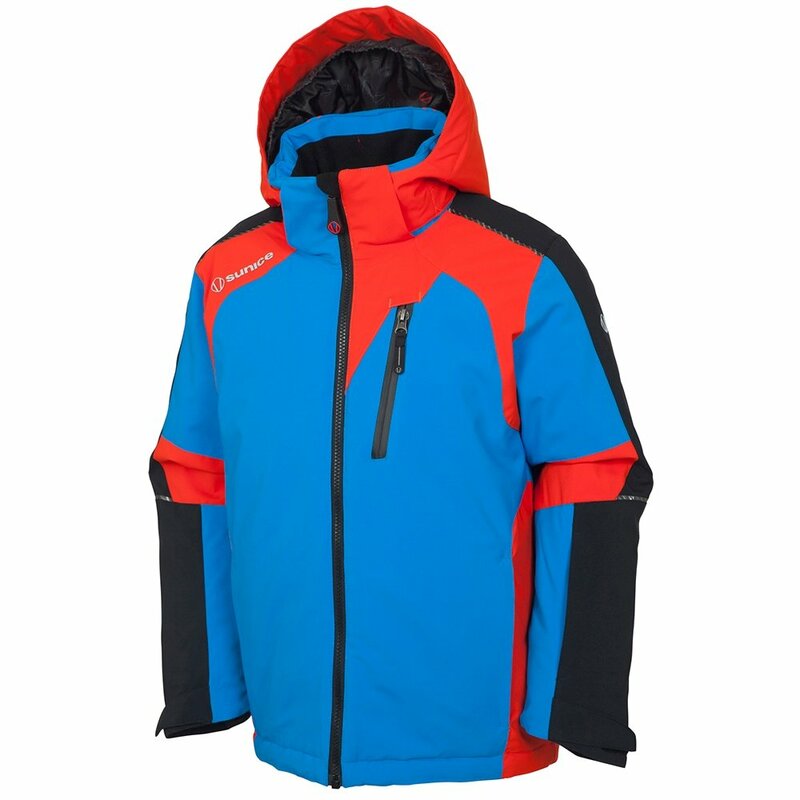 The Sunice Mason Jacket is built to help boys ski in total comfort, and Sunice takes comfort seriously. A breathable fabric construction circulates air and encourages dryness, but is still strong and durable enough to create a waterproof barrier against ice and snow. Of course, it also stretches and moves with boys' bodies, which is important whether your little man is taking his first lesson or speeding down the mountain. This jacket is heavy on features made for skiing, but some of our favorites include an elastic powder skirt, a built-in media pocket, and a solid 150g of insulation around the body. For one jacket that will do it all for your little ripper, the Mason Jacket is a no-brainer. Heavy insulation on the core with a lighter fill in the arms and hood concentrates warmth where it's most needed. A 10K waterproofing rating perfectly balances protection with breathability and comfort. Sealed, waterproof seams and DWR waterproof finish keep snow and ice out, even in heavy winter weather.